Body Transformation: Body Fat Blitzkrieg! Watching the scale hit 276 pounds got Christopher's attention. He was borderline diabetic and hopeless. See how he lost 100-plus pounds and found new reasons to live! Being an overweight endomorphic child was tough. I was teased and ridiculed, but couldn't be broken, because I'm optimistic and have been for as long as I can remember). As the years went by, my body fat went up—my peak weight was 276 pounds b age 13. I was aware that I gained lots of fat, but it didn't dawn on me that it was a real problem for my health. My deteriorating health was always in the back of my mind, but a trip to the doctor sparked my concern and brought reality to light. I was obviously obese and the doctors said I was also borderline diabetic (diabetes runs in my family). It scared me straight and I went to work and started reversing the damage I did to my body immediately. Since then, I've lost more than 100 pounds and gained a nice amount of muscle mass. I'm an active person and regularly go to the gym to strength train—I also run, hike, and bodyboard. I'm grateful to have avoided becoming diabetic and obese. Now I know what it feels like physically and emotionally. It was a humbling experience. It all started with my lifestyle. I dieted and allocated more of my free time for physical activity instead of sitting at home and watching TV. Instead, I went to the beach with friends to swim and hike. Then my friend and his cousin introduced me to weightlifting. I liked it so much that I enrolled in a weight training class at my high school. I found inspiration by looking in the mirror when I woke up and envisioned my ideal body. 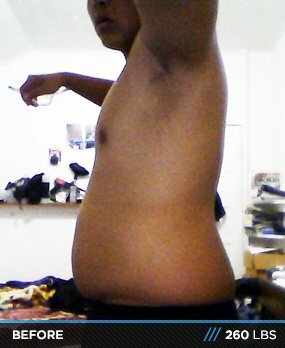 It took dedication, commitment, willpower, and moral support to lose my body fat. I had no intention to use supplements when I started, but as time went on my workout partner got me into fat burners because we wanted to increase the process. What challenged me most were thoughts that I wasn't making progress. Some days were discouraging because the gym felt like a waste of time. Luckily, my best friend was there to push me. At the end of every workout, I felt better about myself and kept my head in the game. One of my dreams is to get into the fitness industry and inspire those who want to live a healthier lifestyle. I want to reach out and show overweight children, teens, and adults that you can do it. I want them to see my transformation and realize that anything is possible—you just have to envision the end product and take action. You can do it. Don't doubt yourself. That was a reoccurring mistake I made on my fat loss journey. Stay dedicated and committed to your goals. When you feel discouraged, talk to somebody supportive and it will get you back on track. For people already transforming, keep on keeping on. If you feel like you reach your goal, don't stop; make new goals. 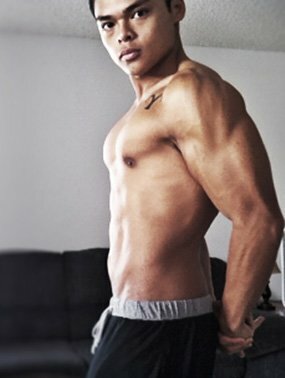 I discovered Bodybuilding.com about five months ago and found answers to many of my questions within the forums. I love the deals on protein and BCAAs. There are honest supplement reviews and it seems like you don't get cast aside for saying the truth.